DENVER – TAVA Waters, an apartment community located at 9099 E.Mississippi Ave., formerly known as The Breakers Resort, recently completed a year-long, multi-million dollar renovation of The Capitol, formerly the Catamaran Club, which re-opened to residents on October 19. 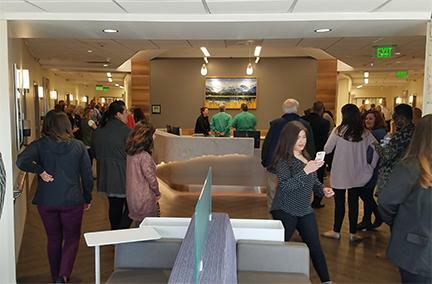 The 30,000-square-foot facility, that has long been the community’s primary amenity, underwent a complete overhaul including the leasing space, restaurant, pool area and fitness facility. The renovations to The Capitol are all-encompassing, beginning with the heated pool and surrounding area. The pool deck has been expanded to 8,200 square feet from 6,550 square feet and a 650-square-foot sun/wading shelf and 15-person spa have been added. In addition, the pool deck features all new pool furniture, including cabanas. 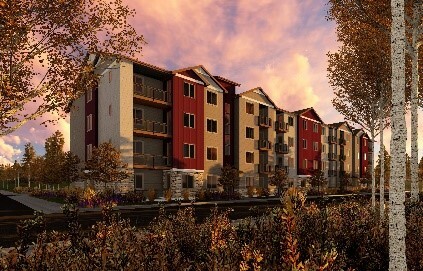 Denver-based i2 Construction is the general contractor for the project. The design intent was to bring the natural surroundings indoors by focusing on accentuating the beauty of Denver itself with carefully chosen natural materials for the leasing center and the new restaurant and that speak to the lifestyle of the region. 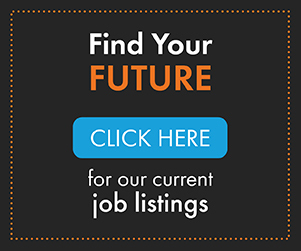 The new restaurant concept, The CAIRN, also features furniture and accents made by local purveyors and the chef works closely with local farmers to source the best produce each week as well as brunch on weekends. The restaurtant features a seasonal menu created by Chef Enrique Socarras of Cuba Cuba fame. A Miami native, Chef Socarras moved to Denver in 2001 and opened Cuba Cuba that same year. Soon after, Socarras was inducted in to “The Denver Five,” a Denver-based chef collaborative focused on promoting Colorado, it’s resources, and dining scene as well as partnering with local farmers, businesses, and vendors with a goal to mentor young chefs and advocate the importance of sustainability, responsibility, and working with local ingredients. The CAIRN menu reflects that influence and also offers a full bar with beer, wine and cocktails, including a TAVA Amber, crafted specifically for the TAVA Waters community by Breckenridge Brewery. The Capitol’s fitness facility has undergone the most striking change, expanding to 11,000 square feet from the original 3,000 square feet. 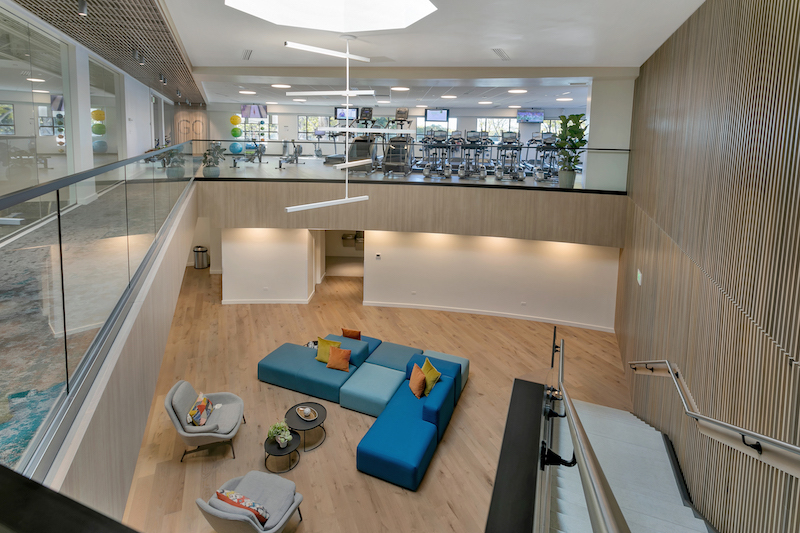 The new two-level, best-in-class facility features a cardio floor with True Fitness treadmills, ellipticals, recumbent and upright bikes and traverse training; interactive virtual trainer bikes; stair trainers; and rowing machines. A separate strength training room features Hoist strength training equipment while a 1,735 square foot functional training room features Olympic lifting weights and equipment.  Other features include a 1,100-square-foot Yoga Barre studio; a 35-foot rock climbing wall with 15-foot bouldering section (one of the largest private rock walls in Colorado); and a 12-bike spin studio featuring Hoist Lemond Revmaster Pro Cycling bikes. The facility also includes Fitness on Demand virtual trainers in the spin area, functional training room, and yoga/barre studio. 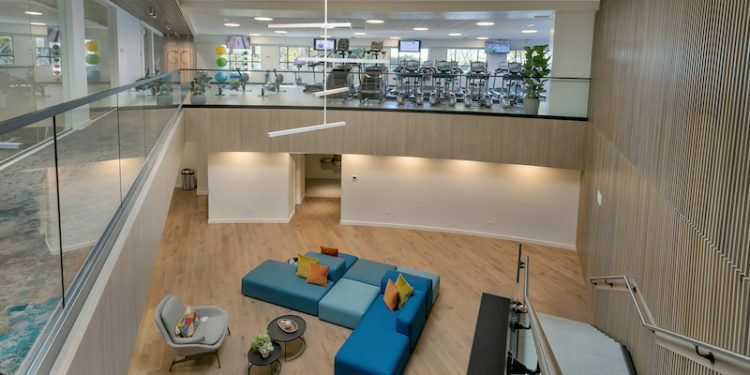 “Our fitness facility is in a league of its own – beyond what many gyms in the area offer, let along multifamily communities,” said Stein. Pensam Residential and TAVA Waters celebrated the renovation with residents with a grand opening event on October 19 that included live music, aerial performers, food by The CAIRN, as well as formal comments from Stein and Walter A. ‘Buz’ Koelbel, Jr., president of Koelbel and Company, who has remained a partner in the TAVA Waters ownership group. “We are extremely proud to see how TAVA Waters has evolved and to see The Capitol unveiled as the first-in-class amenity that this community deserves,” said Koelbel.